Welcome to Naza's Diary - a Blog that focuses on Fashion and everything Fabulous. 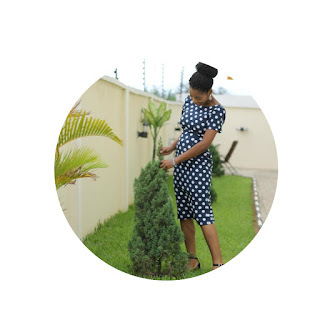 This Blog was created out to connect with fashion oriented people and other fashionistas out there... if you love to dress up, we are best friends already! Why should I read your Blog? If I was to answer that question humorously then I would say "Because it’s my blog and I am awesome". Do you like to talk about wish lists and fashion trend favorites? Do you like looking at outfit photos and scouring for outfit ideas? Are you looking for style advice from the girl next-door? Do you like to talk in fashion language and connect with other fashionistas? If your answer to most of these questions is yes, then I am your girl and this blog is for you! For those who want to know more about me. I am a shoe-aholic with a very sweet tooth. Also I am a bit of an extrovert... I lied! I talk too much! I started blogging in 2010 but I am so embarrassed about that blog that I won't mention the name. But I got really interested in style and blogging in May 2013 and after a few trial and error experiments I finally settled with this blog. I am a bit of a techie person...I always want to do all the coding and design work myself (even though I know it’s tedious and tough) but Google is a good assistant. I would like to tour the world sometime in the nearest future, I always fancy myself living from my suitcase (or bags and suitcases, one suitcase is not enough). I love cooking and talking recipes but I don't eat a lot... but you probably already noticed that. But I can't leave without giving one last quirky information about me... I am quite shy! Especially when meeting new people… Unbelievable right? If you still need to know more about me...connect with me on any of the listed social media networks. So if you think we can be buddies, check out my blog regularly and leave comments in the comments section. PS: No negativity allowed! Positive comments only! Constructive criticism also allowed. But plain hate? Nah! PPS: You can also introduce yourself. I would like to know about you too! I'm Naza - I'm a New Mom. I'm passionate about Motherhood, Beauty, Travel, Fashion. This blog is a place where I want to share all the things I love to you! Keep following this blog!